We greet each other with this blessed announcement and confirmation. A greeting to be used during all the forty days that follow, up to the feast of the Ascension. However, soon, perhaps even a week later, we return to the conventional ‘good morning,’ ‘good afternoon,’ etc. We may even feel embarrassed to repeat it for as long as forty days or for not being understood by the world’s people. 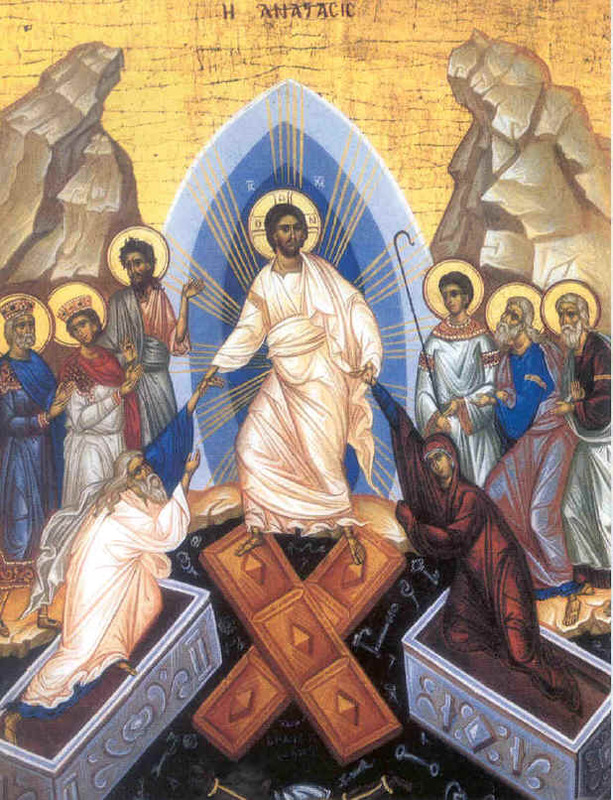 Nevertheless, today, we are radiant with joy and repeat to one another, “Christ is Risen,” and exchange presents of pies, sweetmeats and coloured eggs: for meet it is that the earth be glad, and that the whole world keep feast for Christ is risen. However, in the midst of this joy we hear a persuasive call, “let us purify our senses” (Troparion 1, Ode 1, Canon), and in this I would like to detain our meditation. In the joy of Pascha, are we invited to purification? Yes, we are called to maintain that spiritual cleanliness achieved with our fast, with our repentance, with our tears, to behold what had been promised: the light of the presence of Jesus Christ. That Christ, who rose two thousand years ago, remains risen today for us to behold, for us to love and for us to imitate. From today on let us not fall again into sin, let us watch the presence of the Lord risen, and let us be persevering in righteousness, since sinners surely perish at the presence of God. With the persuasive call we get a sure warning in today’s Gospel that says; “He came to His own, and His own received Him not.” After two thousand years of Christianity, we are now “His own.” We belong to Him because He bought us with His Blood. To us He comes every day when we choose to do His Will, that is, when we refuse to practice sin. Our repentance and the Blood of Jesus Christ have wiped away our sins. The Resurrection of Christ raises us, through the Holy Mysteries or Sacraments of the Church, to a condition higher than before the Fall of Adam. This is the meaning of the words we hear in today’s Gospel passage: “As many as received Him, to them gave He power to become sons of God.” To believe and to accept the words of Jesus means to force our lives to think like Jesus, to desire like Jesus and, above all, to do the commandments of Jesus. Doing it, we exercise the power that makes us sons of God. Through the Holy Unction we are healed and revitalized for our last steps towards the Eternal Life.